After the opposition challenge over senior care, government parties now back stricter rules on minimum staffing in the sector. The Finnish government, in its final months in office, has received a vote of confidence in Parliament by a margin of 99-88. The vote was along party lines, with 12 MPs absent. The vote followed an interpellation accusing the cabinet of failing to ensure sufficient staffing at old age homes amid widespread reports of neglect. In a rare move, all the opposition parties and groups joined in the formal challenge spearheaded by the Social Democratic Party (SDP), which has been leading public opinion polls ahead of elections in April. The interpellation also questioned whether the government's planned overhaul of the social and health care system, known as sote, would guarantee residents equal access to services. The vote was the strongest challenge to Prime Minister Juha Sipilä's centre-right cabinet since took office in May 2015. The three government parties have just 102 MPs in the 200-seat chamber, not counting Speaker of Parliament – and former social services minister – Paula Risikko of the conservative National Coalition Party (NCP), who only votes in case of a tie. 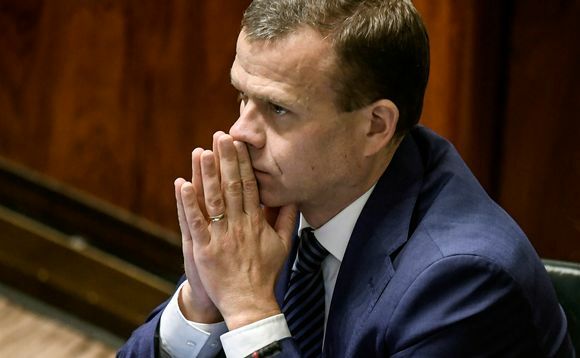 The dozen absent representatives included two SDP leaders who are on sick leave, chair Antti Rinne and deputy chair Maarit Feldt-Ranta, as well as three MPs from government parties. No MPs broke party ranks. Earlier in the week, SDP delegation leader Antti Lindtman noted triumphantly that just after the interpellation was announced, two of the coalition partners, the Centre and Blue Reform parties, changed their position on whether a minimum caregiver ratio at elder facilities should be mandated by law. On Tuesday the NCP also said it was ready to consider whether such a requirement should be written into law. The same day, Minister of Family Affairs and Social Services Annika Saarikko from Sipilä's Centre Party said that the government would begin preparations to do so. However it remains unclear whether Parliament will have time to pass the legislation before its term ends on 15 March. Advance voting for the next Parliament begins on 3 April. The opposition demanded that senior facilities be required to have at least seven caregivers per 10 residents. At present there is merely a recommendation that there be at least five per 10 residents. There is also some debate over whether only nurses or also other staff members should be included in this calculation. The issue was thrust back into the national political debate when the health and welfare watchdog Valvira suspended the operations of a company in the west-coast town of Kristiinankaupunki due to serious neglect of elders in its care. That was followed by reports from Yle and other outlets uncovering widespread problems in the sector throughout the country.